The Friday sessions, presided over by Cardinal Robles Ortega, of the Synod started normal enough, with a series of interventions by 23 Synod fathers. Archbishop Sviatoslav Shevchuk, Major Archbishop of Kyiv-Halyc and head of the Ukrainian Greek Catholic Church, suggested that the effectiveness of homilies be made a topic for a future assembly of the Synod. Before him, Bishop Javier Echeverría Rodríguez of Opus Dei had also mentioned the need for this, and suggested that could be achieved by the homilist directing is word also to himself, to lead by example, so to speak. “The incompatibility between science and faith and the prevarications of one against the other and vice versa, as has occurred in the past and continues to occur, should be replaced by mutual recognition of the dignity of their respective epistemological statuses: science is dedicated to the “scene”, that is the phenomenon, while theology and philosophy look to the “foundation”. A distinction, but not of separateness to the point of reciprocal exclusion, since they have a single common object, that is, being and existence. It is therefore comprehensible that overlaps and tensions occur, especially in the field of bioethics. Dialogue is therefore indispensable, without arrogance and without confusion linked to specific levels and approaches. As John Paul II indicated in 1988, “it is absolutely important that each discipline continues to enrich, nurture and provoke the other to be more fully what it should be and to contribute to our vision of what we are and where we are going”. The great scientist Max Planck, father of quantum theory, also confirmed this: “Every serious and reflective person realizes… there can never be any real opposition between religion and science; for the one is the complement of the other”. In the afternoon, Pope Benedict XVI hosted the Synod fathers, together with Patriarch Bartholomaois I of Constantinople and Archbishop Rowan Williams of Canterbury, for a lunch in the Paul VI Hall. He followed the “lovely tradition initiated by Pope John Paul II to crown the Synod with a shared meal.” He likened the Synod experience to the disciples on the road to Emmaus. Jesus “lit up their hearts and illuminated their minds” allowing them to recognise Him at supper. The evening session, the Eighth General Congregation began later, as the Holy Father had already suggested during the lunch. First up was an intervention by Professor Werner Arber, professor of microbiology and President of the Pontifical Academy for Sciences. He gave a “Reflection on the relations between the sciences and religious faith”. In addition to delegates from the world’s bishops’ conferences, three president-delegates (Cardinals Tong Hon, Robles Ortega and Monsengwo Pasinya), the relator-general (Cardinal Wuerl) and the secretary (Archbishop Carré), the Holy Father specifically appointed 36 Synod fathers for this autumn’s Thirteenth Ordinary General Assembly of the Synod of Bishops, which will focus on the new evangelisation. Later, there will be additional lay men and women who will be invited to contribute as well. Cardinal Angelo Sodano, dean of the College of Cardinals. Cardinal Joachim Meisner, archbishop of Cologne, Germany. Cardinal Vinko Puljic, archbishop of Vrhbosna, Bosnia and Herzegovina. Cardinal Polycarp Pengo, archbishop of Dar-es-Salaam, Tanzania and president of SECAM/SCEAM (Symposium of the Episcopal Conferences of Africa and Madagascar). 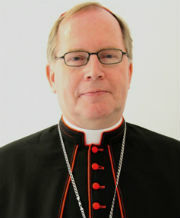 Cardinal Christoph Schönborn O.P., archbishop of Vienna, Austria. Cardinal George Pell, archbishop of Sydney, Australia. Cardinal Josip Bozanic, archbishop of Zagreb, Croatia. Cardinal Péter Erdö, archbishop of Esztergom-Budapest, Hungary and president of CCEE (Council of European Episcopal Conferences). Cardinal Agostino Vallini, His Holiness’ vicar general for the diocese of Rome. Cardinal Lluis Martínez Sistach, archbishop of Barcelona, Spain. Cardinal André Vingt-Trois, archbishop of Paris, France. Cardinal Oswald Gracias, archbishop of Bombay, India and secretary general of FABC (Federation of Asian Bishops’ Conferences). Patriarch Francesco Moraglia of Venice, Italy. Archbishop John Olorunfemi Onaiyekan of Abuja, Nigeria. Archbishop Hector Ruben Aguer of La Plata, Argentina. Archbishop Antonio Arregui Yarza of Guayaquil, Ecuador, president of the Ecuadorian Episcopal Conference. Archbishop John Atcherley Dew of Wellington, New Zealand, president of FCBCO (Federation of Catholic Bishops’ Conferences of Oceania). Archbishop Jose Octavio Ruiz Arenas, secretary of the Pontifical Council for Promoting New Evangelisation. Archbishop José Horacio Gomez of Los Angeles, U.S.A.
Archbishop Carlos Aguiar Retes of Tlalnepantla, president of CELAM (Latin American Episcopal Council). Archbishop Bernard Longley of Birmingham, England. Archbishop Ricardo Antonio Tobon Restrepo of Medellin, Colombia. Archbishop Luis Antonio G. Tagle of Manila, Philippines. Archbishop Filippo Santoro of Taranto, Italy. Bishop Javier Echevarria Rodriguez, prelate of the Personal Prelature of Opus Dei. 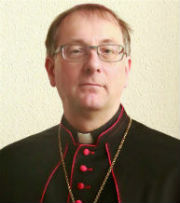 Bishop Dominique Rey of Frejus-Toulon, France. Bishop Menghisteab Tesfamariam M.C.C.J., eparch of Asmara, Eritrea. Bishop Benedito Beni dos Santos of Lorena, Brazil. Bishop Santiago Jaime Silva Retamales, auxiliary of Valparaiso, Chile and secretary general of CELAM. Bishop Luigi Negri of San Marino-Montefeltro, Italy. Bishop Alberto Francisco Sanguinetti Montero of Canelones, Uruguay. Bishop Enrico Dal Covolo S.D.B., rector of the Pontifical Lateran University in Rome. Fr. 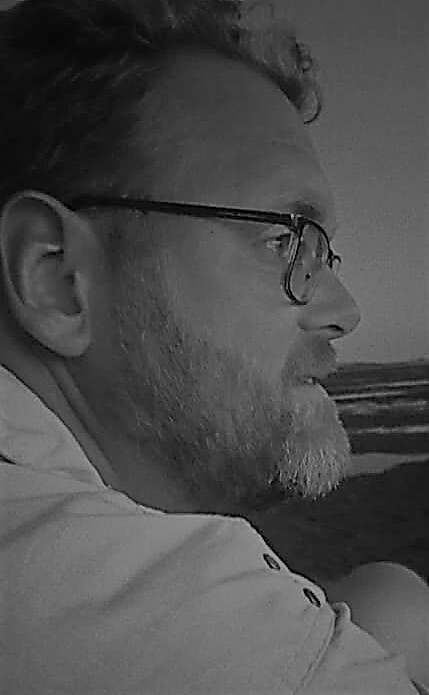 Julian Carron, president of the Fraternity of Communion and Liberation. Fr. Renato Salvatore M.I., superior general of the Clerks Regular Ministers to the Sick (Camillians). Fr. 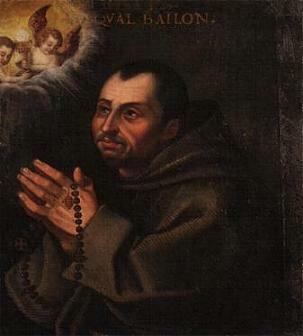 Heinrich Walter, superior general of the Schönstatt Fathers. Four of the Synod Fathers: Cardinal Bozanic, Archbishops Onaiyekan and Longley, and Fr. Walter. 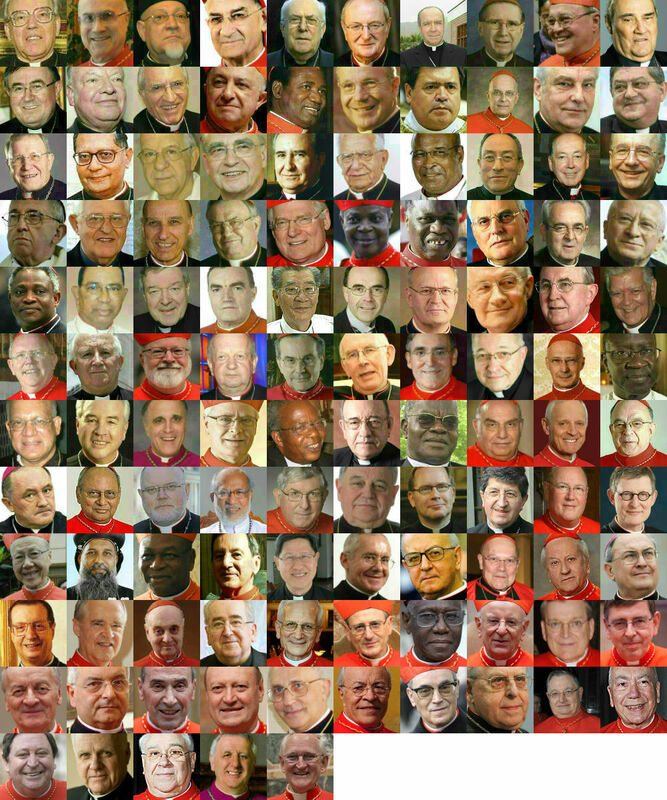 The list is an interesting mix of the old guard (Sodano, Meisner) and the up and coming (Gomez, Tagle), and also includes a number of prelates who have recently worked closely with the pope on papal visits (Pengo, Longley, Onaiyekan, Negri). 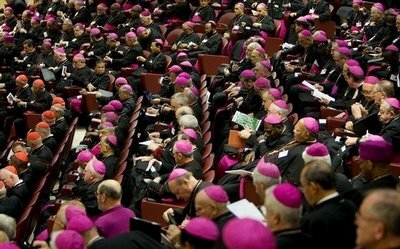 Although hand-picked for the Synod, these prelates are not more or less important then the delegates from all over the world. They will be full and active participants on the Synod, though, and at least some of them may be expected to contribute significantly.